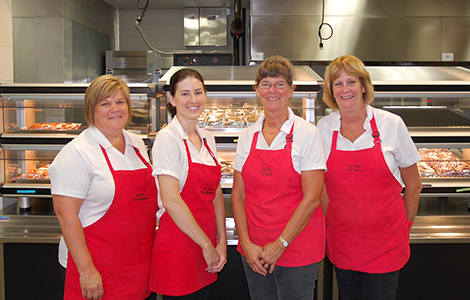 The Oak Hills Food Service Department operates nine on-site preparation kitchens. The cafeterias serve healthy, well balanced lunches to over 7,000 students each day. We also serve breakfast in several buildings and cater for district-sponsored events. There is a critical link between nutrition and learning. Proper nutrition is essential for students to feel better, learn better and behave better. Food Service offers a variety of menu choices to satisfy hungry students.